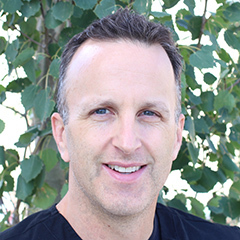 Dr Grout (or Dr. Phil as he usually goes by) graduated from the University of British Columbia with a Bachelor of Science in 1995, then attended the University of Alberta and graduated with his Doctor of Dental Surgery in 2000. He then practiced in Jasper, AB and Valemount, BC for 2 years. Dr. Grout moved back to Calgary, where he worked for 3 years in Okotoks, High River, and Calgary. In 2005 he built his own office in south Calgary, where he practiced for the next 8 years. Dr. Grout cherished his time in Calgary, but decided to move his family to Edmonton to be closer to family. Dr. Grout is the proud father of 3 children and spends much of his time enjoying his family. In his spare time you can find him surfing, snowboarding, mountain biking, and road riding. Dr. Aqib grew up in Windermere, in the southwest corner of Edmonton. He graduated from the University of Alberta with a B.Sc in Biological Sciences and Psychology in 2014. 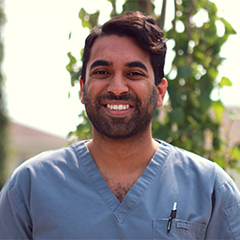 He continued his education at the University of Alberta in the Doctor of Dental Surgery program which he completed in 2018. Throughout dental school, Dr. Aqib volunteered regularly at the SHINE Clinic serving underprivileged pediatric patients. He was also the yearbook editor and self-appointed “class prankster”. Dr. Aqib is passionate about patient education and takes the time to address your questions and concerns thoroughly. He prides himself on his patient-centered approach in meeting your dental needs. Outside of his time here at Hollick-Kenyon, Dr. Aqib loves traveling (his most recent visit was to Japan), taking photos, reading, and attending local festivals. Dr. Aqib speaks fluent Hindi and Urdu. Melanie joined our clinic in early fall of 2014. She brings with her a plethora of dental and insurance knowledge as well as a smiling, positive attitude that can’t go unnoticed. Melanie started her career by obtaining her certificate in Dental Reception with Dental Start Academy years ago and continued her education gaining knowledge in accounting, as well as business/dental management courses. 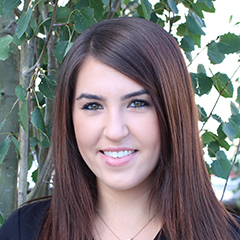 Prior to joining our team Melanie has acquired 4 years dental experience and loves every aspect of this field. Melanie’s favorite part of the day is when she is able to interact with patients and make their visit as comfortable and enjoyable as possible! When she’s not balancing accounts and helping out with daily functions of the office, you can find Melanie in a variety of hobbies; snowboarding instructor, practicing at the gun range (I.P.S.C), playing in competitive poker tournaments and early morning hot yoga help keep her busy. She also enjoys taking road trips back to British Columbia with her dogs to visit family. Jessica jumped on board to our dental family early 2017. She was born and raised in Calgary, Alberta. 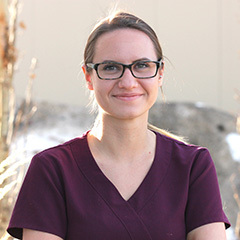 Jessica brings with her a vast knowledge of dental background as she has had about 2 years in the field as well as, some educational training at Columbia College for Dental Assisting. Quickly finding out her heart lays with the administration side, she finds fulfilment though getting to know the patients one-on-one, helping patients understand their insurance, ensuring the proper paperwork is submitted, as well as explaining procedures and finances so that our patient’s are comfortable with their treatment. She understands the dental office is not everyone’s favourite place but her goal is to create an easy, comfortable, and stress free atmosphere for everyone! In her spare time Jessica loves to work out at the gym, attend to car shows, or heading out downtown to socialize with friends and family. You can also expect her gone on most weekends making her way to visit family in Calgary. 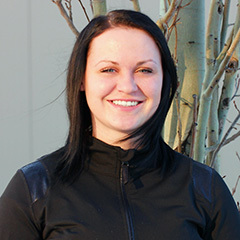 Kim graduated with her diploma in Dental Hygiene in 2006 from the University of Alberta. 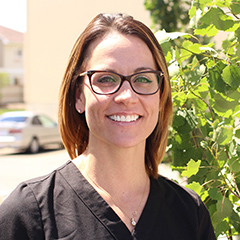 Kim is passionate about the profession of hygiene and enjoys getting to know her patients and providing customized quality care. In her spare time she enjoys spending time with her husband and three beautiful daughters. She also enjoys working out at the gym, camping, gardening and travelling. 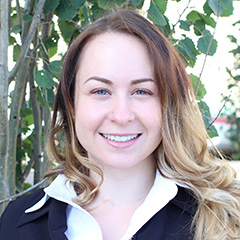 Originally from Provost, Alberta, Janel moved to Edmonton to attend the University of Alberta where she received her diploma in Dental Hygiene in 2014. 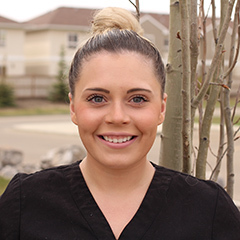 The following year she graduated with a Bachelor of Science Degree in Dental Hygiene, focusing on oral health in both the community and long-term care facilities. Janel joined our office in spring of 2015. In her spare time, Janel enjoys being outside while spending time with family and friends. 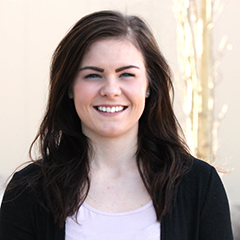 Madison graduated from KDM Dental School in 2013. Her favourite thing about being a dental assistant is chatting with patients and helping out with wisdom teeth extractions. In her spare time she likes to bake and spend time with her pug, Jaxx. Angel joined our team in November 2018. She was born in Ontario and raised in Newfoundland. Angel graduated with honours from the Dental Assisting Program at Georgian College in Barrie, Ontario in 2017. Angel is really a jack of all trades, when she’s not busy making your stay comfortable in the back, she can be found helping the girls in the front! Angel’s favorite procedure to assist with is extractions. Empathy and compassion is what drives Angel to ensure you are heard and taken care of every step of the way. In her spare time, Angel enjoys spending time with friends and family as well as exploring all that Alberta has to offer. Kristina is ecstatic to join the Hollick-Kenyon Dental team early 2017. After moving from Vergeville, Alberta to attend school in 2013, she graduated from KDM Dental College in 2014. Her greatest enjoyment about being a dental assistant is being able to answer questions and explain procedures to help ease patient’s worries or concerns. Her favourite procedure to assist with are root canals! In her spare time Kristina likes to snowboard in the winter and play kickball in the summer.